blank note cards – you can buy a set of these at a craft store, or just fold over card stock and make your own! 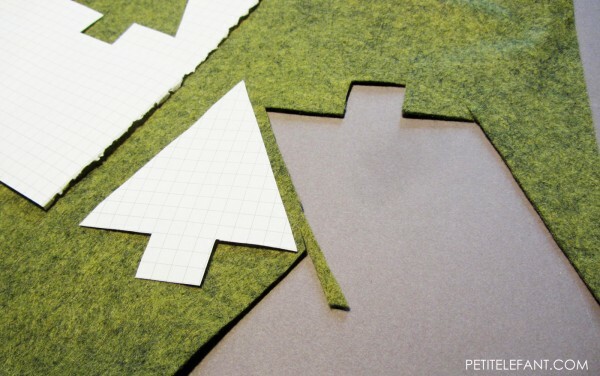 Here’s how-to start: sketch out the tree on the graph paper. Once you’re happy with it, make that your pattern and cut the shape out of the felt. 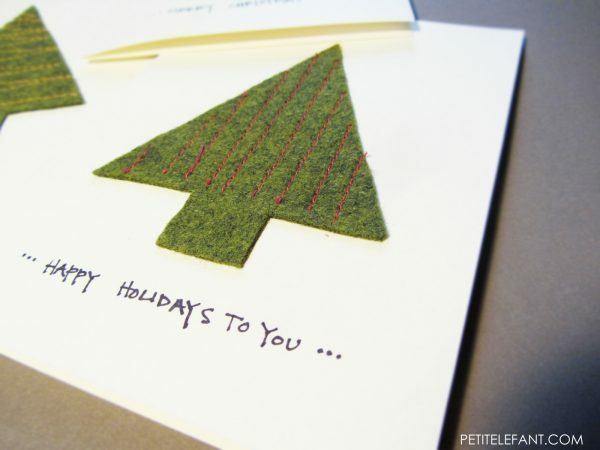 Glue the tree down on the card with the glue stick so it doesn’t slide around while sewing it down, then “decorate” (make) the tree by sewing it onto the card with your sewing machine. Try sewing different patterns and use different colors to make your cards unique! Make a note on the front for a personal touch. And Voila! 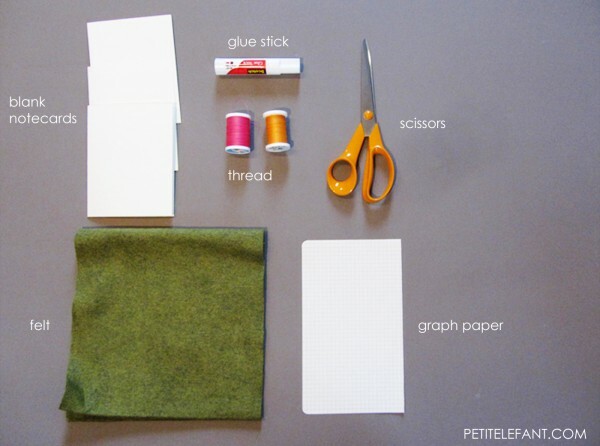 how-to, DIY Handmade Holiday note cards to give away (or keep! ).